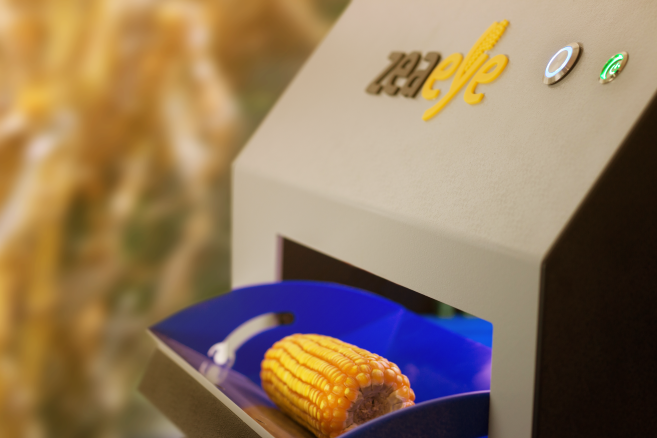 ZeaEye is Tbit’s new portable equipment for corn ear evaluation. 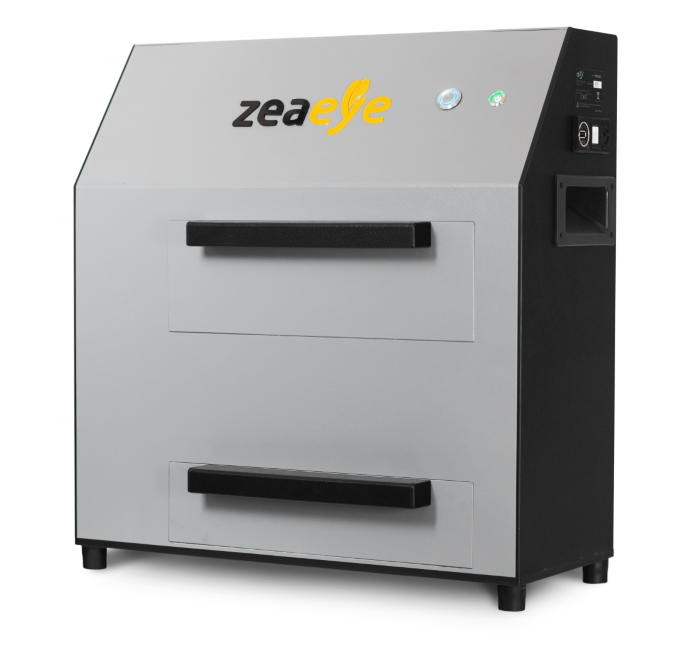 It evaluates index of granulation, the number of grains and the measurements of the corn cobs (R6). In addition to the individualized information, it also calculates lot’s summarized information. 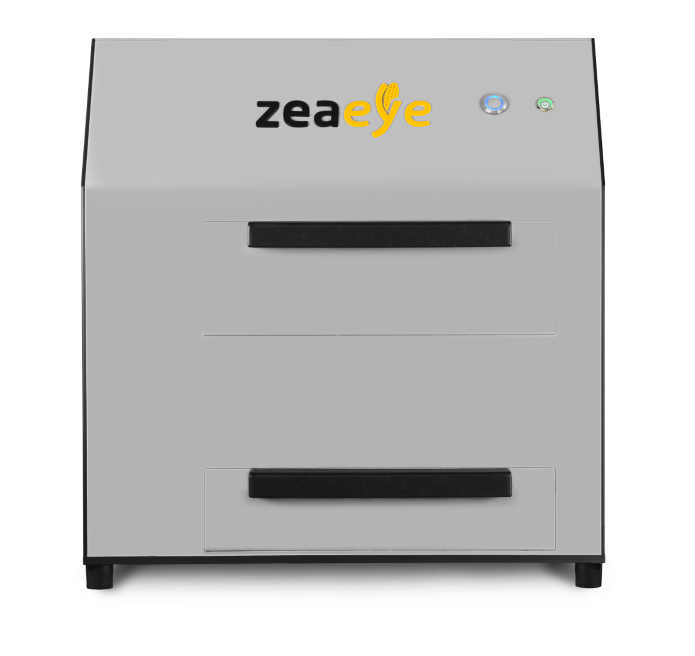 With a battery of up to 3 hours of continuous use and with reduced weight and dimensions, the ZeaEye is the ideal equipment for field evaluations. 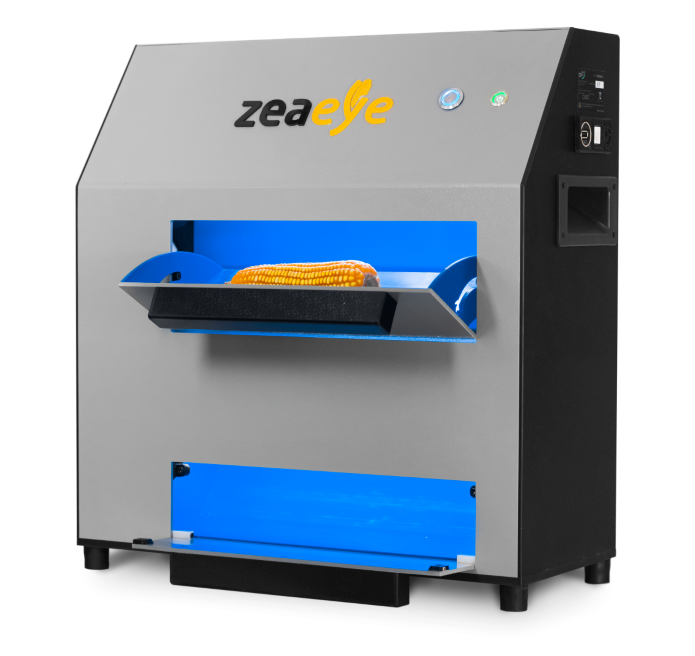 The corn ear is automatically rotated by the equipment, which obtains several images in the process. This makes the assertiveness very high. After the images are registered, the corn ear is discarded automatically. Each corn ear requires only a few seconds to be recorded and discarded. 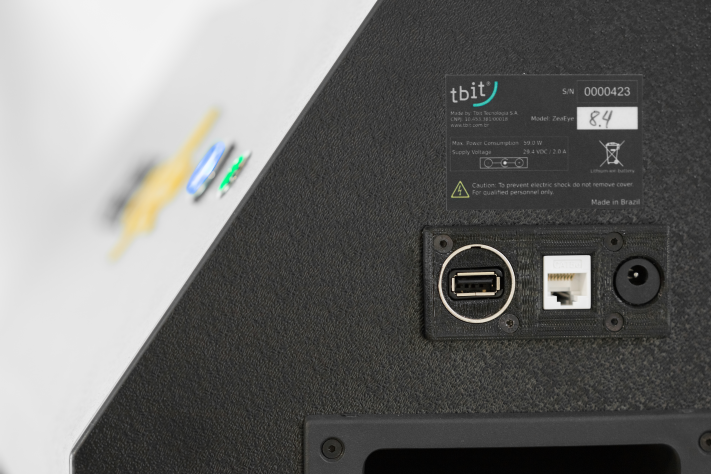 The lot reference is inserted into the equipment through a mobile phone or tablet. After obtaining the field images, the equipment transmits the information to a computer through a pen-drive or through the network (ethernet port). Dimensions: 50 cm W x 24 cm D x 53 cm H ( (19.7″ W x 9.5″ D x 20,9″ H). Want to know more details? Contact us!